I recently was lucky enough to travel to New York as part of a trip with my local culinary college. I had an absolute blast and cannot believe how much I saw and did in just 4 days away! 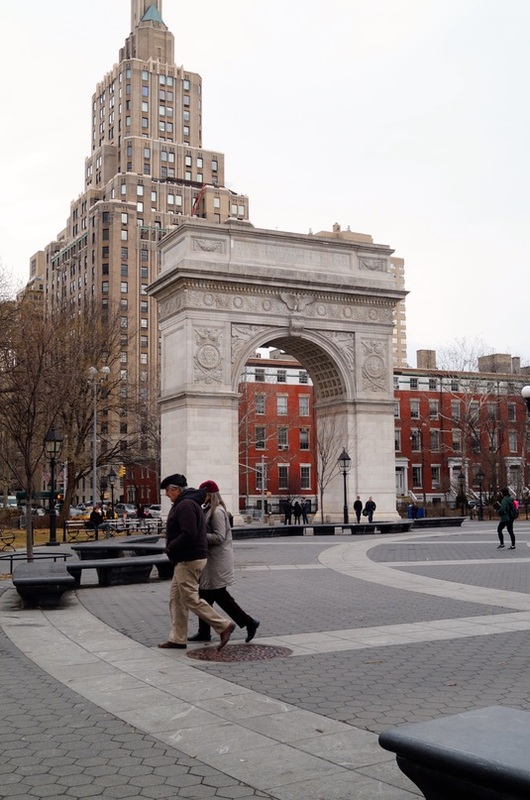 I’ve definitely found my new favourite travel destination and cannot wait visit the USA again soon with my family – I’m planning many more future visits! 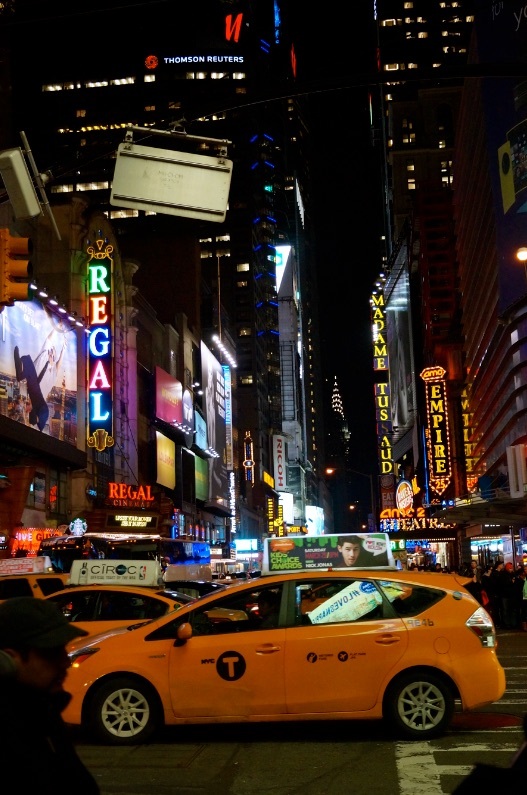 I had such a brilliant time in New York, I absolutely loved the feel of the city, the sights and of course the food! 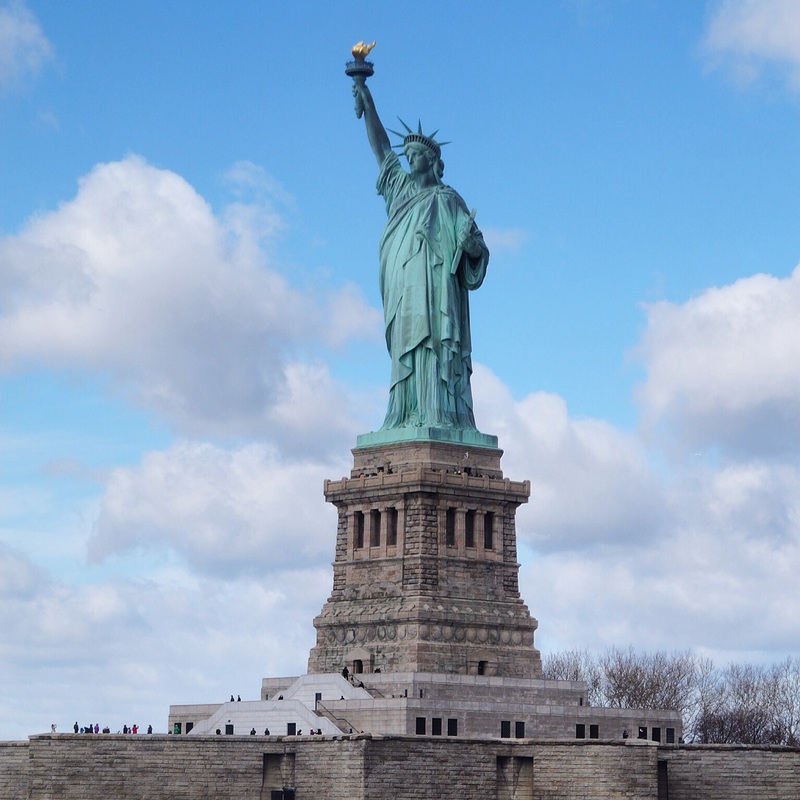 Over the last week I ticked off many dreams on my bucket list – seeing the Statue of Liberty, going up to the top of the Empire State Building, watching a basketball game at Madison Square Gardens, meeting and visiting Jacques Torres and his chocolate factory and watching Wicked! on Broadway were a few highlights! Here are some snapshots taken from my trip. I hope you enjoy – I wish I’d brought my camera with me more times – I didn’t get to photograph Central Park and some of the other places we visited, but maybe next time! St. Patrick’s Cathedral – on our first full day in New York it was St. Patrick’s Day and it was pretty hectic around 5th Avenue – where the St. Paddy’s Day parade was taking place later in the day. 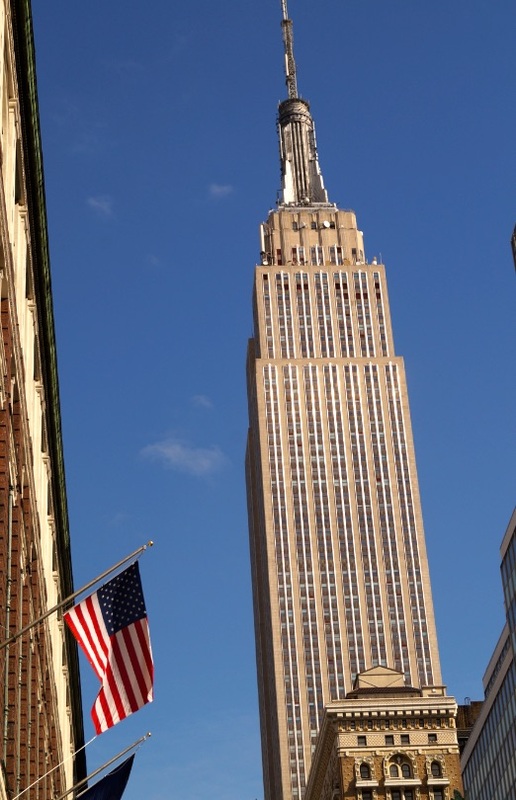 Going to the top of the Empire State Building was great fun. I loved seeing the New York skyline! 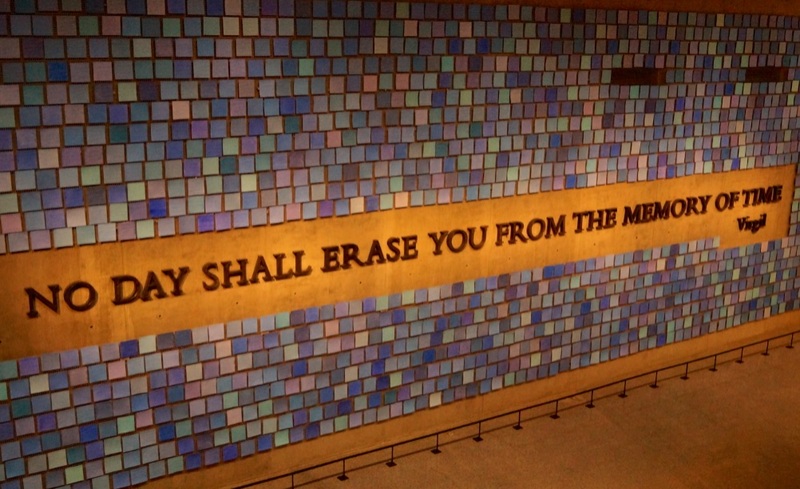 The 9/11 memorial museum was a great and overwhelming experience. It was a very heartwarming and emotional visit. I saw my first ever basketball game at Madison Square Gardens! 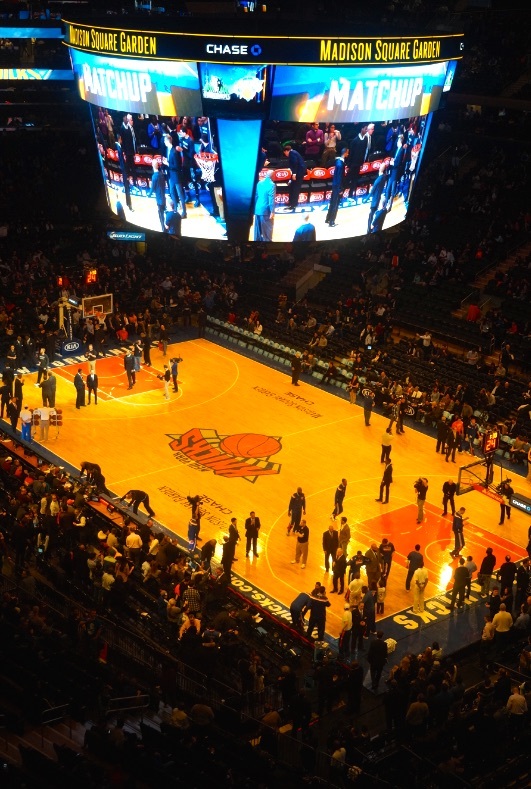 We saw the New York Knicks vs the Minnesota Timberwolves. The atmosphere was brilliant and it was great to experience for myself one of America’s national sports. 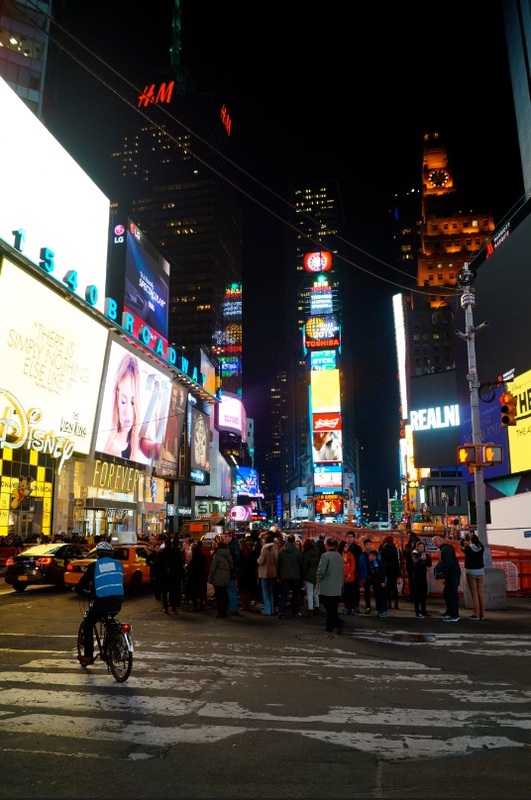 Times Square – it’s super exhilarating walking around at night, there’s so much going on and lots to see! On one of the days my dream came true! 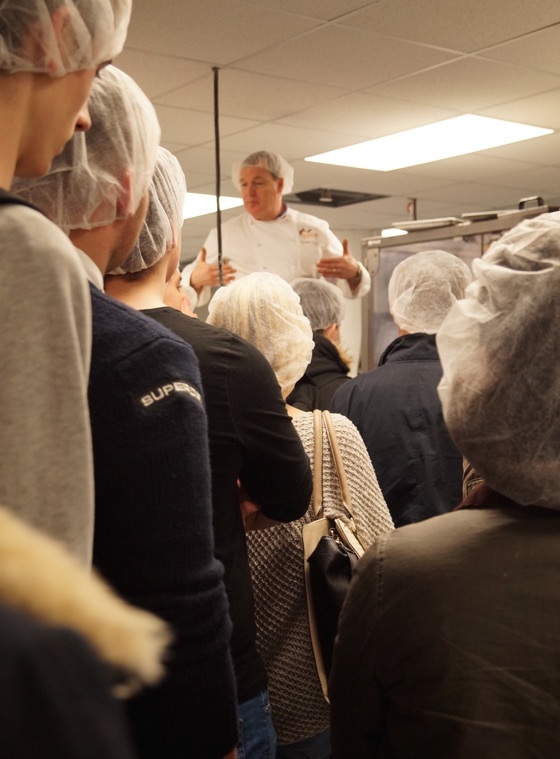 We met the legendary Jacques Torres aka “Mr Chocolate” and had the chance to tour his chocolate factory in Brooklyn. 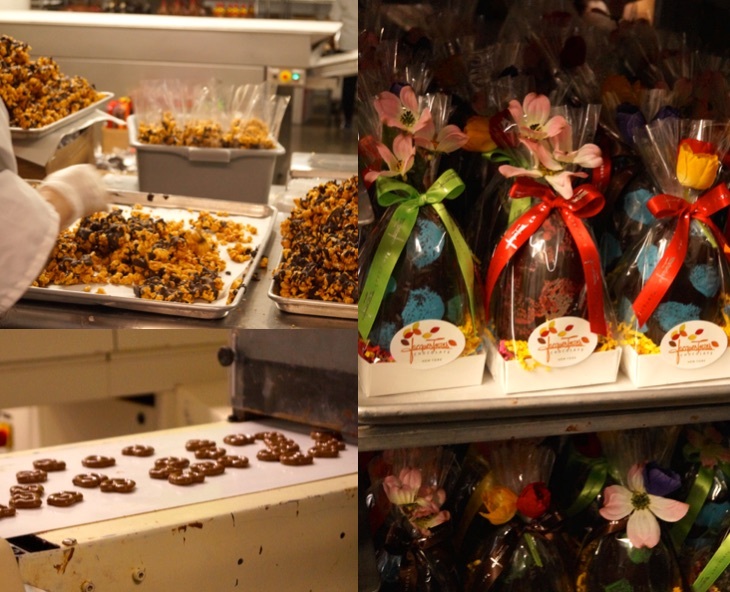 Being a self-confessed chocoholic this little factory trip was perfect! We indulged and tasted many treats – we were given little taster pots of roasted almonds dusted with a rich and decadent cocoa powder, Jacques famous chocolate chip cookies (which are absolutely amazing! ), we also enjoyed chocolate coated Cheerios and toffee/caramel covered popcorn drizzled with chocolate – my two personal favourite picks! Some of the coolest looking chocolate I’ve ever seen! 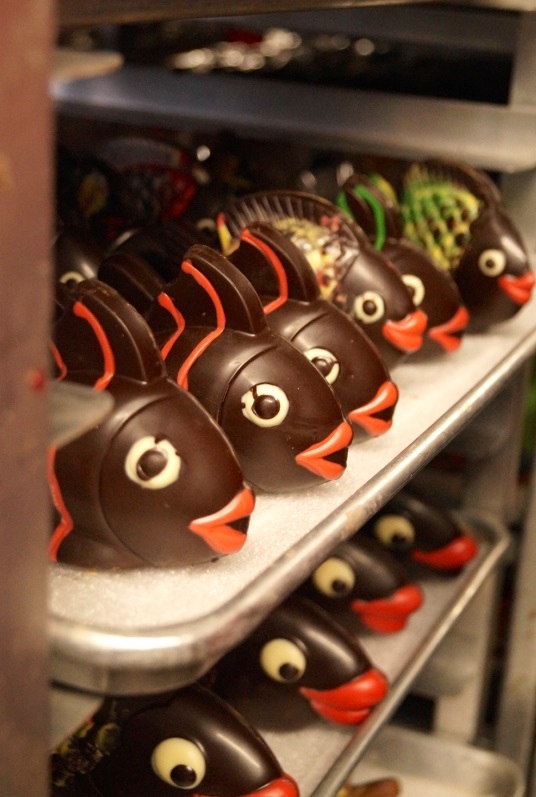 These hand crafted chocolate fish are simply so creative and delicious! We were in charge of finding restaurants and places to eat for most days. I loved looking around and tasting new foods as I like to do on most holidays I go on. We had a really early start in the middle of our holiday visiting a New York fish market at 5:00am! After that we had a few moments to go and search out somewhere to eat breakfast before our trip to see the Statue of Liberty. We found this amazing deli selling an array of different cuisines from all over the world and whole foods. 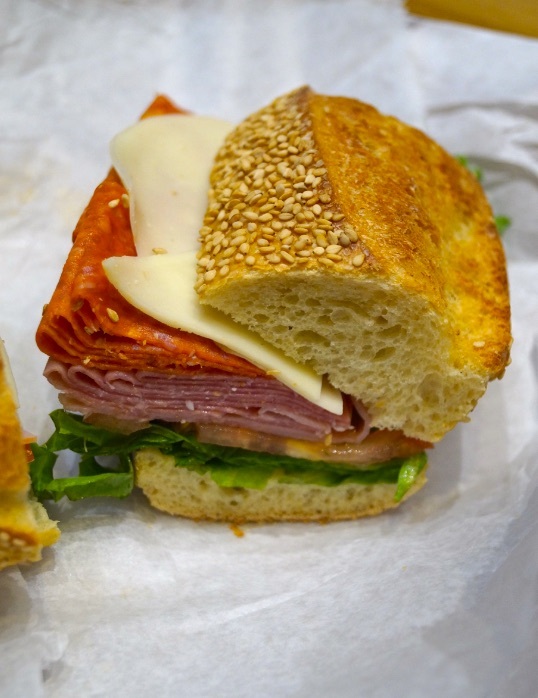 This traditional Italian-American sandwich/roll made me really hungry and I really couldn’t wait to try it out. Consisting of crisp salad leaves, the sweetest sliced tomato, smoked ham, salami and mozzarella incased in a crunchy sesame ciabatta-style bun. Incredibly good, great fresh produce and extremely yummy. 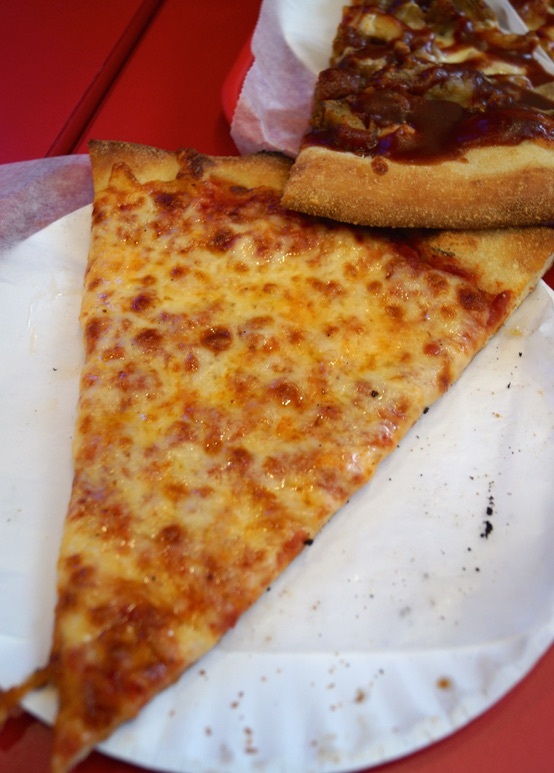 I ate my fair share of pizza whilst away in NYC – New York is definitely the city for pizza lovers outside of Italy (I could’ve easily swarmed this post with never ending pictures of pizza!…) I’ve always loved American-style pizzas! 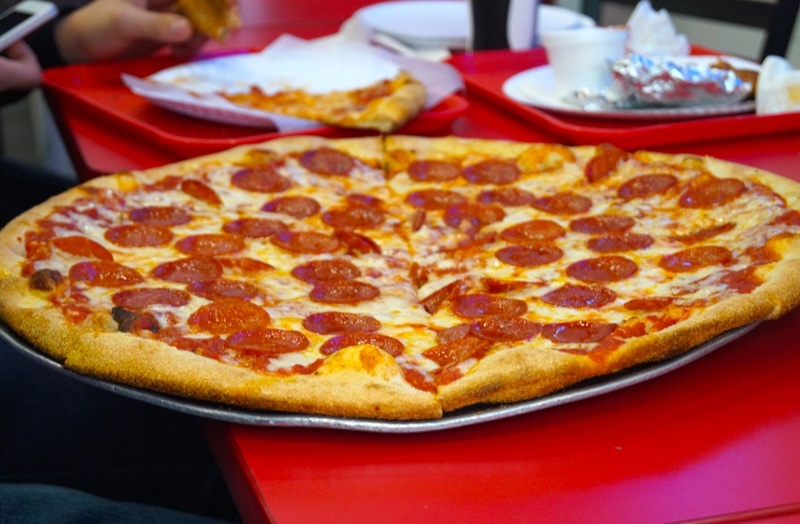 This pic above is of one my friends pepperoni pizza – it was massive, but he still managed to eat it all! (Sorry about the quality of this photo! Phone picture of our meal at Bubba Gump Shrimp The restaurant is located in the heart of Times Square with great views of Broadway.) 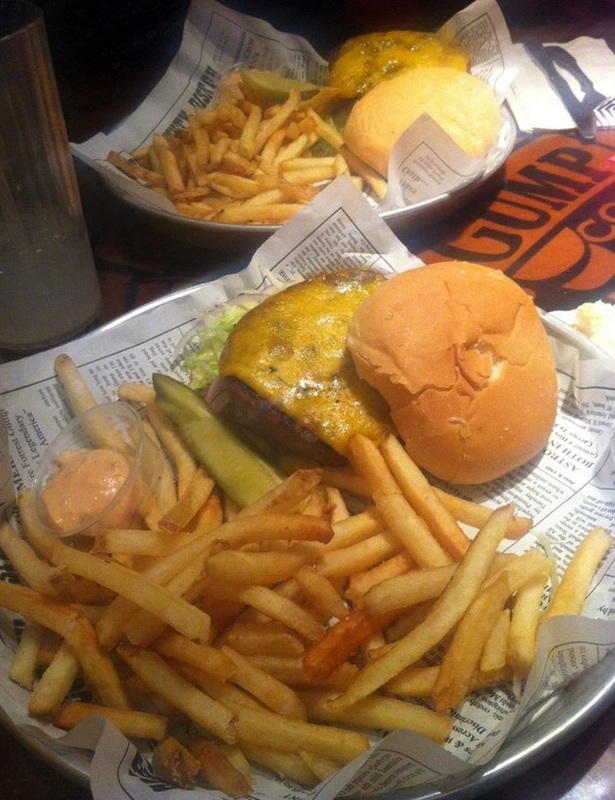 I love a good all-American cheeseburger with fries and this certainly lived up to my expectations. It was smoky, with a lovely flame-grilled flavour, the gooey oozy cheese was a perfect and the fries and dip were seriously so tasty! Definitely going to try to share a burger like this on the blog soon! 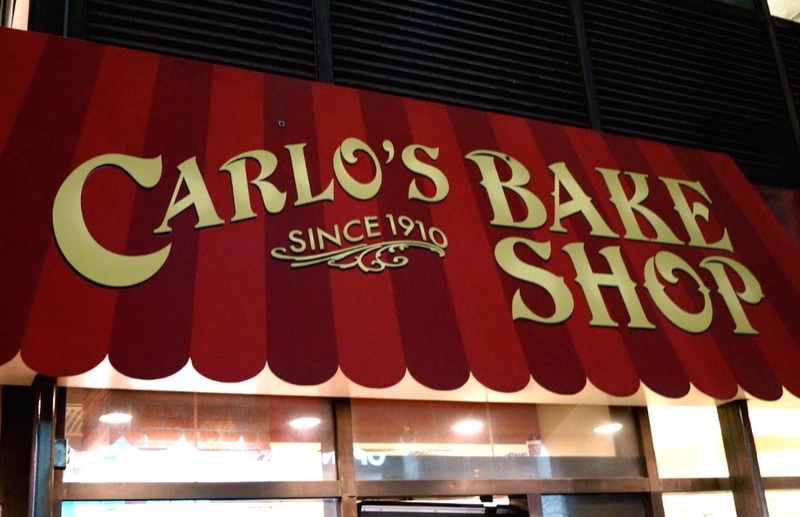 Walking past Carlo’s Bake Shop – the queues for his cake and goodies was out the door! Next time I visit a slice of cake will be on the menu for sure! 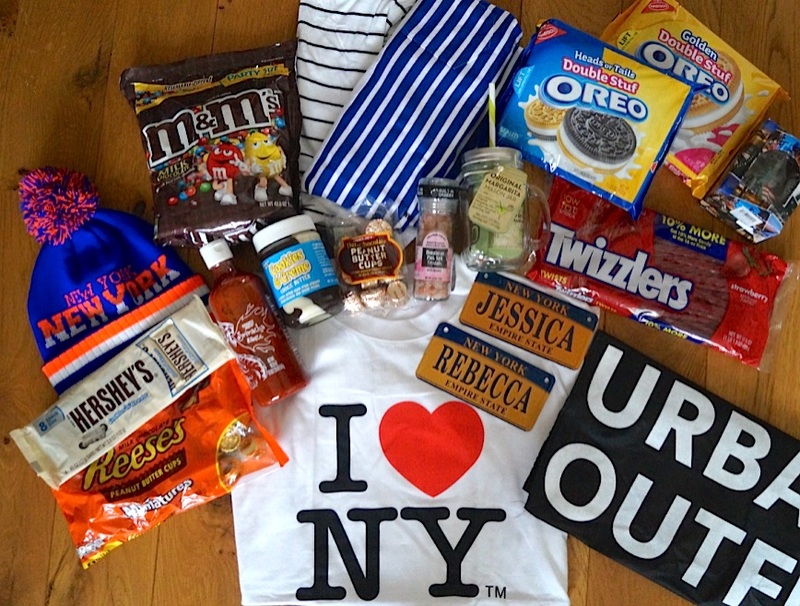 Some of the goodies I bought back from New York! I’m slightly addicted to that 42 oz bag of M&M’s and the Hershey’s cookies ‘n’ creme chocolate bars AND all the Oreos! (+ don’t forget those amazing Reese’s too!) 🙂 I’ve got many recipes lined up with all these delicious treats! The last day was spent shopping on 5th Avenue in Manhattan! One of the best days – it was nice to relax in some retail therapy before the long flight home later that night. Unfortunately, New York was forecast for snow on the Friday we were going home! It was a bitterly cold end to the holiday but we still made the most of it and had fun. I had an absolutely brilliant time and bought back many great gifts and memories home! I hope you’ve enjoyed reading! Have a great weekend guys! Great photos! 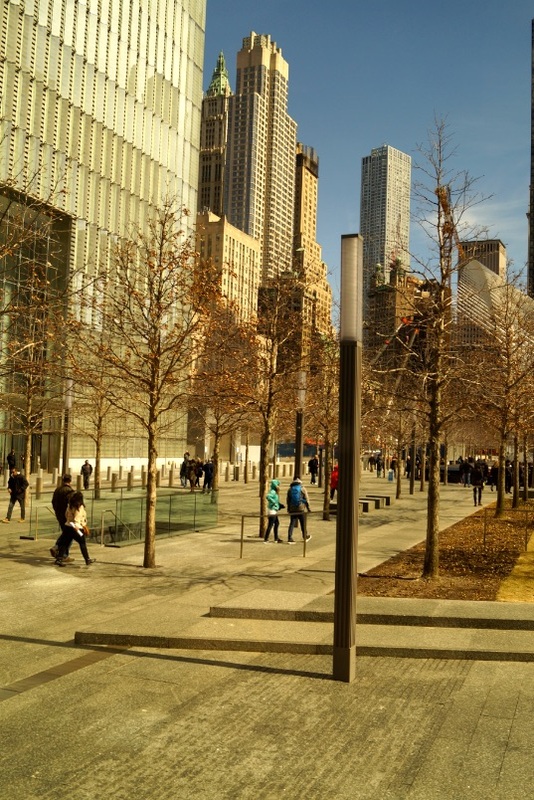 Looks like you had a brilliant time in New York! I love the city, it’s crazy busy but also full of some of the most fun places and best food I’ve ever eaten! Thanks so much Emily! 😀 I had the best time ever in New York! Definitely one of the best cities/places I’ve ever visited! Beautiful shots….. 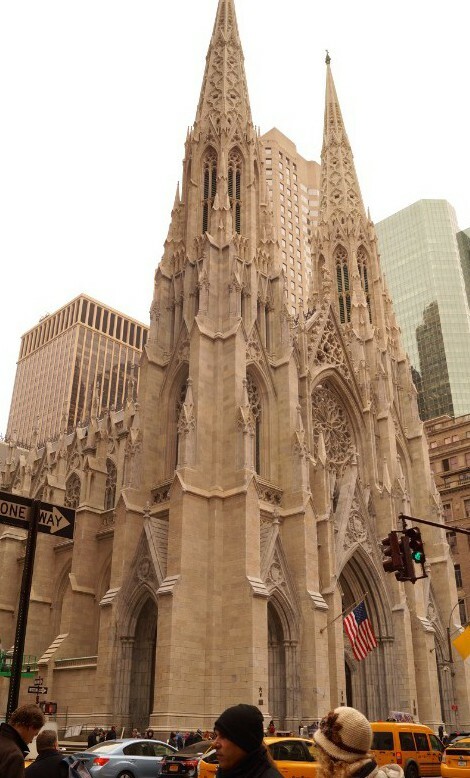 I especially liked the one of St. Patrick’s cathedral. Yes, I have to admit NYC is a wonderful city. Our girls both live in Brooklyn, and we don’t visit as much as we should. Your post gave me inspiration to hit NY when the weather gets warmer. 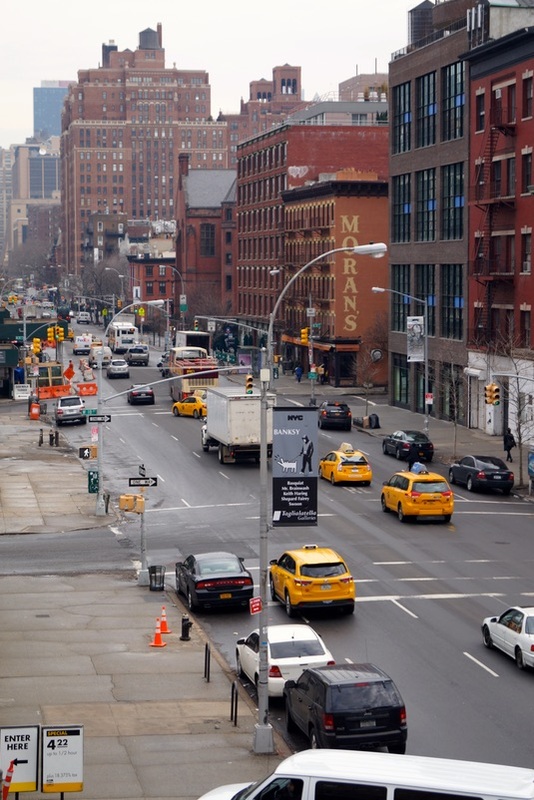 I definitely want to visit the High Line. What a great culinary field-trip experience this must have been, where did you come from? Thanks so much Loretta! I’m glad you enjoyed my pictures! 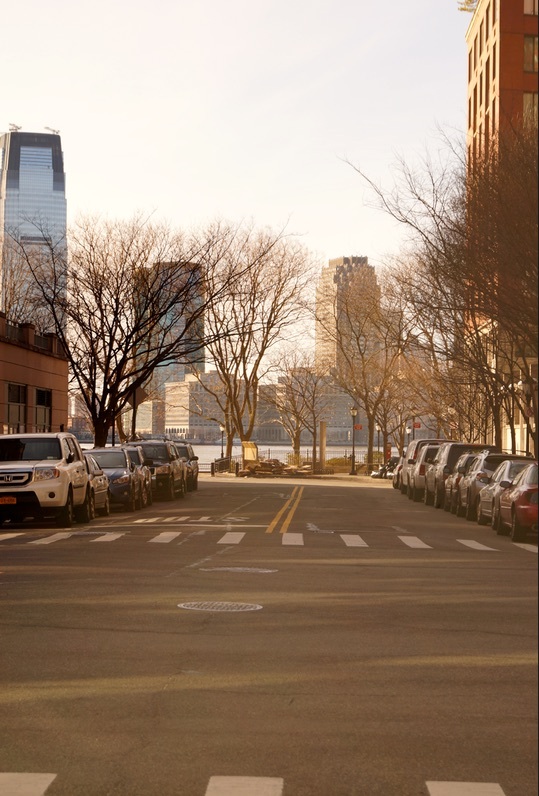 😀 I absolutely love New York – Brooklyn is one of my favourite boroughs. 😀 I study at Colchester Institute in East Anglia, UK. It was a great trip and I cannot wait to revisit with my family soon! Thanks so much Medha! Aww that’s so exciting to visit New York for your birthday! 😀 It’s the best city! 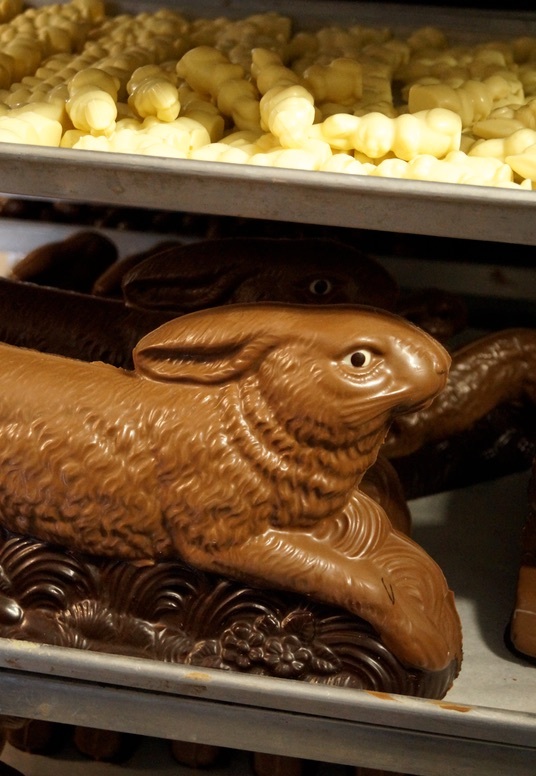 I am so jealous that you got to meet Mr. Chocolate! I bet that was such an amazing adventure! 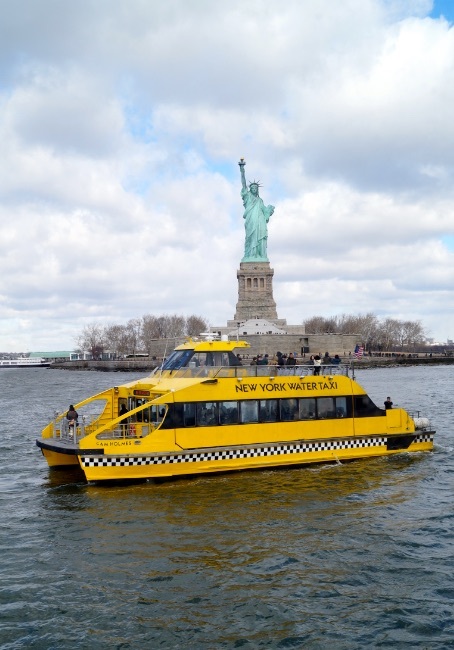 So happy to hear that you enjoyed New York City – it’s one of my favorite places to visit! Thanks Eva! Hehe – I know I was so lucky to meet Jacques! 😀 New York City is so brilliant, one of my favourite travel spots so far! I lived in New York for over a decade I miss it every now and again (not those rent prices though or the rats!) lol Great pictures! 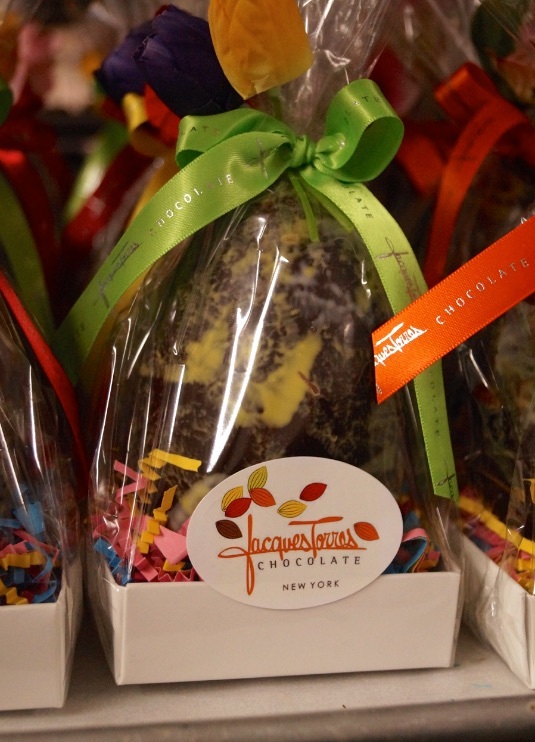 Jealous you got to meet Jacques Torres! so cool & Ive always wanted to visit Dominique Ansel’s bakery! 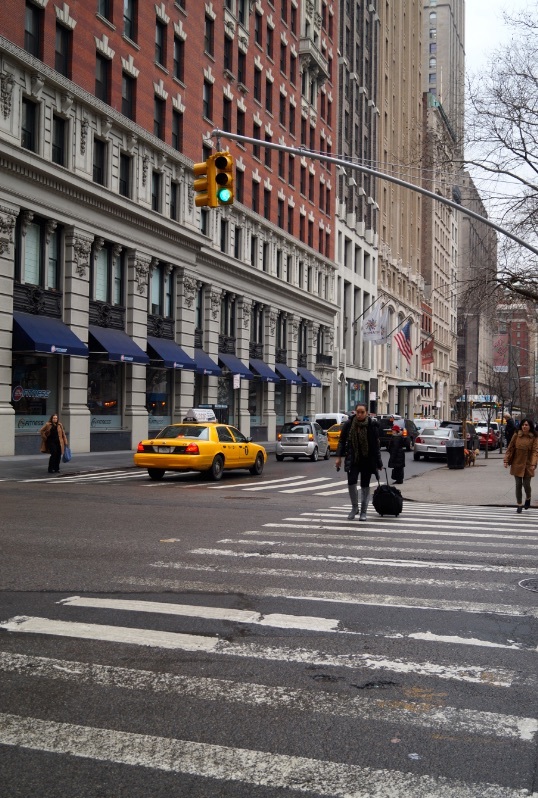 New York is my new favourite city – I would love to live there one day if I ever had the chance! 😀 I know, meeting Jacques was absolutely brilliant! Next time I visit New York I definitely want to visit Dominique Ansel’s bakery and try a cronut! I actually moved on a whim in my 20s and stayed until 2 years ago (I’m 34) lol My parents were mad at me at first (moved from Texas) but they got over it and my mom came to visit me years later. I lived in almost all the boroughs except the Bronx. So many memories of NYC, I say why not life is too short Good luck! NYC is my most favorite place! I almost moved there after I graduated from college but decided at the last minute not to. I’m from Chicago but I love New York so much better, it’s just amazing! Thanks for sharing your beautiful pictures! I absolutely love New York! 😀 The sights and food were both amazing – I ate plenty delicious foods whilst there! Thanks so much Olivia! 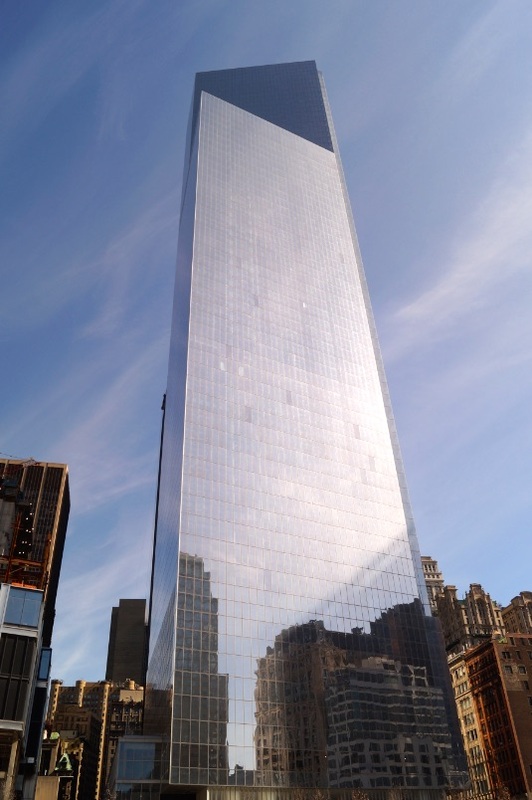 😀 I absolutely loved New York – I cannot wait to visit again and see the sights I missed! I’m glad you like the article! I agree with Olivia above…after having lived in NYC I forget that this is a city that excites/inspires people…as it stressed me out most of the time! But next-time look for more local foods, there are so many tourist traps in NY!! New York is a really lovely city – I think it’s a very different place for people who live there however compared to a tourist visiting! Having said that, I did get stressed trying to get around in the cabs and finding places! 😀 I really loved the local food! So great and so much on offer! You really did a lot in a relatively short spce of time. I live in NYC and am still amazed at all there is to do. I have yet to spend time in NY, and I’m dying too! Your photos make me want to go even more. Glad you had such a great trip! Thanks Marcie – I had a great time! 😀 NY should be on everyone’s bucket list! NYC is filled with so much amazingness!!! I used to live about 30 minutes away but it was when I was younger and couldn’t appreciate it!!! Now I think I need to go back and see what it’s all about! NYC is definitely up there on my list of places to visit! Some day…Looks like you had a wonderful trip, and packed a LOT of stuff into that trip! But…but…have you had Chicago style deep dish? This is the perfect trip! 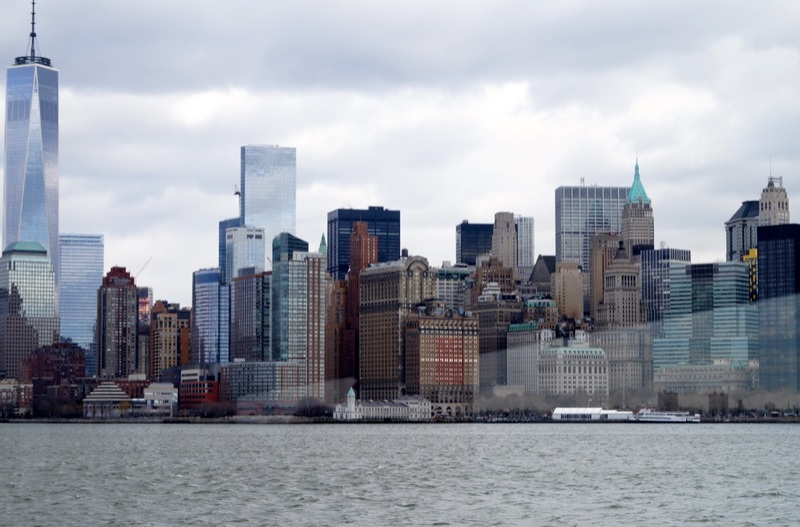 My dream to go to New York and I want to do exactly what you did – you defiantly used the 4 days well! Amazing photos also. 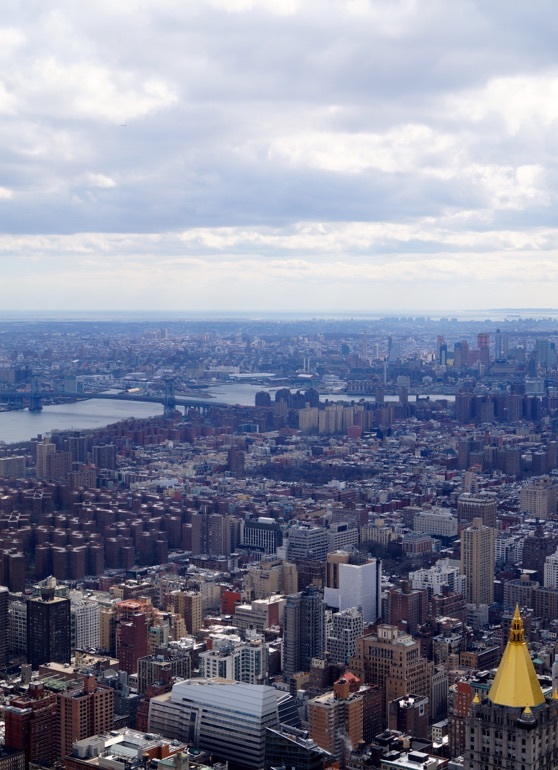 New York is an amazing city – definitely well worth a visit if you get the chance! 😀 I’m really pleased you enjoyed the article, Rhea!